All of us have a few of these in our lives; the bar that was your home away from home. The Sink, Tom’s, The Joyce, McCabes—my past is littered with them. Here is a very slender paean to one such joint. 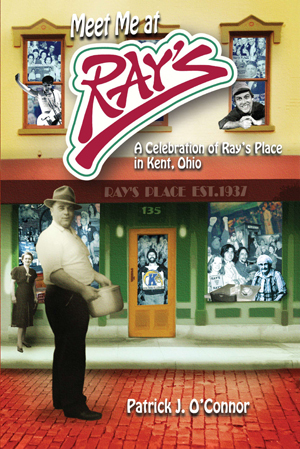 A madcap collection of anecdotes, facts, memories and trivia, Meet Me at Ray’s: A Celebration of Ray’s Place in Kent, Ohio by Patrick J. O’Conner, is an homage to all of those wonderful places that shaped so many lives.